One of the primary reasons for the success of one of my clients, WheatFields Bakery, is the fine ingredients used in their artisinal breads. 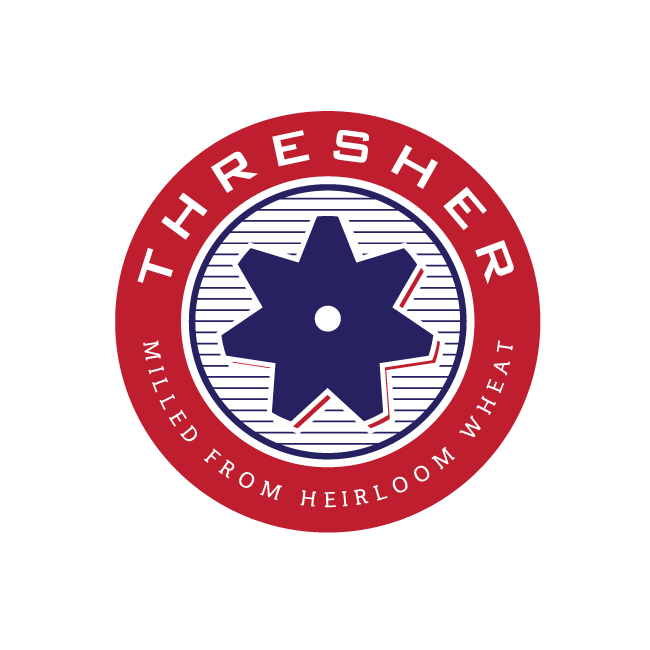 The master baker responsible for starting that tradition of bread artistry was also interested in making some of those ingredients available to other bakers and asked me to create the logo for his concept, Thresher. 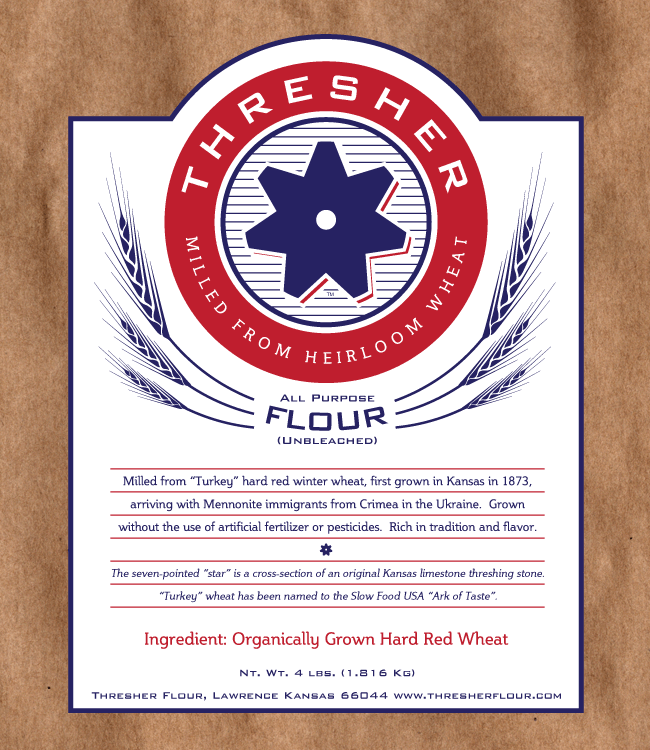 Milled from "Turkey" hard red winter wheat, Thresher flours and corn meals represent a tradition of organic farming broght to Kansas over 140 years ago by Mennonite immigrants. The cross section of a seven pointed limestone thresher stone from the era was the perfect image on which to build the brand image. True to the image, labels will be applied to plain brown paper bags for a simple, traditional package.